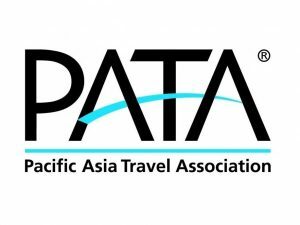 Pacific Asia Travel Association (PATA) India Chapter’s first-ever TourismPowerHouse will be held on August 5 and 6, 2018 at The Park, New Delhi. The initiative is aimed at igniting the minds of the leadership of the tourism industry and fully tap the immense potential of India, in line with global best practices. It will also help meet and exceed expectations of international travellers. 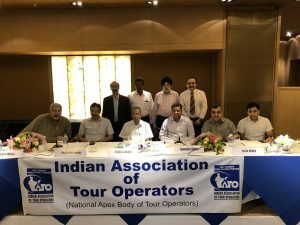 The meeting will be led by Rashmi Verma, Secretary Tourism, Government of India and Chairperson, PATA India Chapter, along with Mario Hardy, CEO, PATA. The keynote address on ‘Tourism Trends and Opportunities’ will be delivered by John Koldowski, an international tourism research expert. Participants will get the opportunity to network, learn, and interact with knowledge leaders and industry stalwarts and also participate in engaging discussions on digital marketing, tourism disrupters and enablers, luxury travel trends and more. 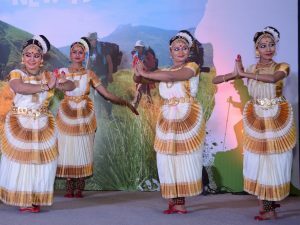 Kerala Tourism has showcased its array of new tourism offerings at a recent Partnership Meet held in in New Delhi. For art aficionados, the state endorses Fort Kochi and a pilgrimage to the Kochi Muziris Biennale. There is Muziris Heritage Project for history buffs looking to transport themselves to another era. Further, the Spice Route Project re-establishes Kerala’s maritime associations with the countries on Spice Route and revives their cultural, historical and archaeological exchanges between these countries. The state also exhibited its traditional dance forms and visual storytelling presentations. “Most foreign tourists flock to Kerala to experience its cultural heritage but what we are trying to showcase is the idea that our culture isn’t limited to performances on stage. 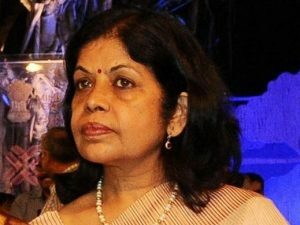 It is ingrained in our way of life and the department is taking small but significant steps towards helping a traveller experience the richness of Kerala,” said Rani George, IAS, Secretary (Tourism), Govt of Kerala. 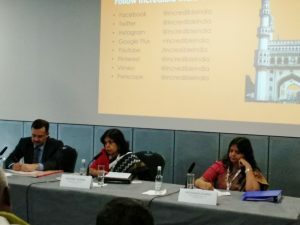 Jharkhand Tourism Department recently organised a roadshow in Delhi that saw attendance from North India’s prominent travel and trade representatives. During the occasion, Jharkhand Tourism announced its plan to celebrate the inaugural edition of upcoming Jharkhand Travel Mart (JTM) to be held in Ranchi from March 23 to 25, 2018. 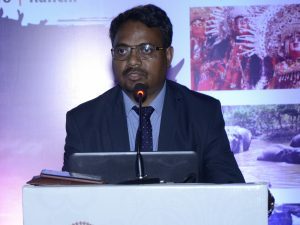 Sanjeev Kumar Birsa, IAS, Director – Tourism, Govt. of Jharkhand, said, “We have a clear vision for the state, with various activities planned to make Jharkhand a tourist friendly destination. The state has a great potential to offer through tourism products and attractions such as wildlife, pilgrimage, heritage and leisure. JTM will help us to promote the state and the tourism products it has to offer to the domestic as well as the international traveller.” Jharkhand Tourism is also organising mega roadshows in various cities such as Mumbai, Kolkata, Bhubaneswar, Patna and Asansol. Dr. Manish Ranjan, IAS, Secretary – Tourism, Govt. of Jharkhand said, “Jharkhand will contribute immensely to the Indian Tourism portfolio with its diverse range of travel and tourism destinations. 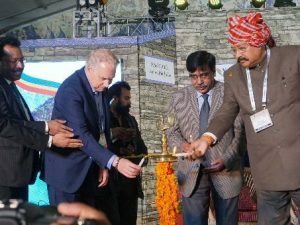 The event is an extension of our aggressive marketing approach to introduce more tourism destinations and attractions and reinforce the Jharkhand Tourism Brand among the media, buyers and stakeholders.” The event will seek support from all major national travel trade and hospitality associations in India. The much awaited all-new Incredible India website, which was set to go live from December 25, 2017, will now be launched in the end of January 2018. This was informed by Rashmi Verma, Secretary-Tourism, Government of India. “We could have launched the website as planned because in terms of technology, the website is ready. However, we are currently sourcing more content and images to make the website a complete solution and thus, by the third week of January, we should be ready to launch it, she said. 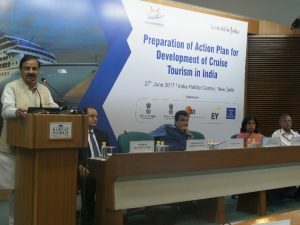 Verma underscored various initiatives undertaken by the Ministry of Tourism (MOT). MOT is shortlisting some iconic tourist sites to develop into world-class sites in collaboration with various other ministries like Transport, Environment, Culture and Aviation. Five destinations under the Buddhist circuit are being developed with basic amenities and connectivity in collaboration with Ministry of Transport. She further added that MOT has planned to develop Special Tourism Zone and a proposal has been extended to all the states. 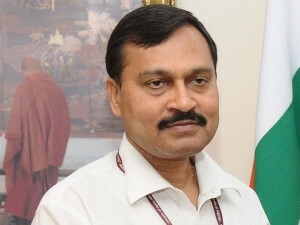 N. K. Sinha, Secretary, Ministry of Culture, has been given the assignment of additional charge of the post of Secretary, Ministry of Tourism with immediate effect and until further orders. He is an IAS officer of Bihar cadre, 1980 batch. This announcement came after the superannuation of former Secretary-Tourism, Vinod Zutshi.